Dai Llewellyn Ward It appears that your role-play has been mauled by a Chimaera. Ask a healer for your thread to be treated back to full health. It is summer in the year 1998. The Second Wizarding War has ended, but the site of the last battle - Hogwarts - remains in rubble and ruin. As much of the Wizarding world begins to put their lives together after winning the war, a select few also feel compelled to help rebuild their beloved school. A daunting task to begin with, but even more so with the haunting memories of their fallen loved ones around every corner. As they begin to restore Hogwarts to the glory that it once was, several of the volunteers start to act strangely. As more and more fall victim to the increasingly odd behavior, it becomes clear that something was unearthed in all the rubble. Something that had lain dormant for a long time. Will the rest of the volunteers discover what sort of spell everyone has fallen under? Will they be able to find a cure before it’s too late? You may claim and RP any canon character or original character of your creation. You may RP up to two characters. Please do not post asking if you can play a specific character. Simply post the character’s bio and we will consider it yours. First come, first served. Also, do not post saying that you are claiming a character but will post the bio later. Your bio post is what claims your character. You MUST include a bio, even if you are RPing a canon character. Yes, most of us know who they are, but this will serve as a reference for the RPG. They do not need to be extensive, but please include at least a bit about personality and history to show your understanding of the character. Anyone can join any time - but please post a bio before you start RPing so that it can be linked into this first post for reference. Any questions, please feel free to PM me, emjay. Background and Personality: George Weasley is one of the seven Weasley siblings, and also twin to Fred, who unfortunately was killed in the Battle of Hogwarts. In school, he was a Gryffindor like the rest of his siblings and was well-liked by his peers. He and his twin were known to be practical jokers and to have heightened senses of humor, as well as skilled Quidditch players. Though they tended to goof off quite a bit during school, they were actually quite smart and very resourceful as they created their own joke shop when they left Hogwarts early. Along with his siblings, George fought against Voldemort and the Death Eaters in the Second Wizarding War, losing his twin brother in the final battle. Feeling completely lost and like part of his own self is missing, he is still having a difficult time managing, yet wants to help rebuild the school. His sense of humor has dimmed considerably in the recent weeks, but perhaps that is part of the healing process. Background and Personality: Filius Flitwick is a diminutive wizard, rumored to be part goblin, which led to his mistreatment by some of the wizarding community at a young age. This helped him develop a thick skin towards those who might want to prejudge him and, regardless of his adversity, was wise beyond his years. He was exceptionally skilled with Charms and was a great appreciator of music. Sometime after his education at Hogwarts as a Ravenclaw, he returned to teach as Charms Master. He eventually became Head of Ravenclaw House, and also employed his love for music as conductor of the frog choir. Though he has a small stature and a rather sensitive nature, he is a figure who commands respect. He is known to be genial and fair to his students and at times lends a sympathetic ear to those in need. He has strong moral convictions and was more than willing to fight in both Wizarding Wars for what he knew to be a necessary cause. Background and Personality: Ginny Weasley is the youngest of the seven Weasley children and the first female to be born in several generations. While at first, upon meeting Harry Potter, she acted shy and awkward, not helped at all by her near death in the Chamber of Secrets her first term at Hogwarts, gradually she relaxed with a bit of help from Hermione and revealed the fierce and vibrant girl who had attracted more than one boy during her years at Hogwarts. Her older brothers even worried she was too popular for her own good. Growing up the only girl amongst six boys, she developed a tough skin and a tendency to be unafraid to stand up to just about anyone, friend or foe. Not only that but she’s quick-witted, funny, a skilled Quidditch player, and has the ability to lie, amuse or otherwise find her way out of tough situations (Some of which involves the skilled use of hexes). Her small size belies her fierce courage and strength, and there wasn’t a bit of doubt as to her decision to help rebuild Hogwarts, and maybe help her family at the same time. Background: Minerva McGonagall was the only daughter of muggle father and a witch mother, she had two younger brothers. She went to Hogwarts as a young witch where she was sorted into Gryffindor. After Hogwarts, Minerva spent two years with the ministry of magic, but eventually came back to Hogwarts to teach Transfiguration. She is a strict but fair professor and the head of house of Gryffindor. Personality: Harry is exceedingly courageous, as well as fiercely loyal to and protective of his loved ones. He will go to great lengths to save and help others, especially his loved ones, which was dubbed a “saving-people thing” by his friend Hermione Granger. He is strong-willed and unafraid to stand up for himself and others, as well as hot-tempered and impulsive. He is a bit prone to moodiness, and he is rather rude and irritable when he is, even with his friends. Background: Harry is the only child of Lily and James Potter, who both died on the evening of October 31st, when Voldemort arrived at the Potters’ home because of a prophecy that had been made by Sybill Trelawney. Harry would have died as well if it had not been for his mother’s sacrifice. Her love protected him and caused Voldemort’s curse to backfire, bringing about his first defeat and giving Harry the lightning bolt scar on his forehead. Harry was then sent to live with his aunt and uncle, the Dursleys. For ten years, he had no knowledge of how his parents died or of the Wizarding World itself until he received his Hogwarts letter from Rubeus Hagrid on his eleventh birthday. When he attended Hogwarts, he was sorted into the Gryffindor house and became lifelong best friends with Ron Weasley and Hermione Granger. He did not attend Hogwarts for his seventh year, as he, Ron, and Hermione spent that time searching for and destroying Lord Voldemort's horcruxes. In May 1998, Harry defeated Voldemort for the final time, though not before giving up his own life to destroy the part of Voldemort's soul within him. Soon after the battle, Harry was hired as an Auror by the Ministry with Minister Shacklebolt’s permission, and he insisted that his first assignment should be to assist in the rebuilding of Hogwarts, the school that had been like a home to him. ooc: we're starting, but anyone can still jump in! Filius put on a brave face as he made his way through the castle and surveyed the damage. Thankfully they had won the war, but it had been at such a terrible cost. Lives lost, their beloved school destroyed....but there would be peace now and order was restored. Now to restore Hogwarts. He knew his colleagues would be here. And he was humbly grateful for the friends that volunteered to come help. His former students, now esteemed members of the wizarding community. They would restore Hogwarts to the glory it once was, and then they'd be well on their way to healing. 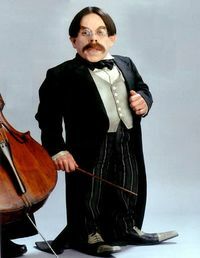 Flitwick walked into the Great Hall to wait for the rest of them to meet him there. This might be a good place to start too, he thought, as he looked around. The once magnificent hall took a hard hit. George hadn't been himself since the battle - since he lost his twin, his mirrored half. And he wasn't sure he would ever be. It was always Fred and George, and now.... now it was just George. He felt like he couldn't function properly anymore. Like a vital part of him was missing. He hadn't even left the burrow other than to attend some of the funerals and memorial services where everyone seemed to be walking on eggshells around him. People either expected him to be distraught or to be the one to lighten the mood with his famous sense of humor. He wasn't even sure which side of George to show either. But maybe this would be the first step in the healing that he needed. This was going to be hard, he knew that. But he needed to do it. And at least he would have the rest of his family there beside him. In all her years Minerva had been at Hogwarts she had seen many things with the evil and the good, but this was hard to take in. The loss they had endured through this battle and now the rebuilding they needed to do. She felt like she was getting too old for this, but her children that walked the corridors, that came back to stand with her, they were why she was here still and why she would keep moving forward. As she walked into the open room that once was a breathtaking beauty and looked around. Her eyes fell on the first two that had come in. Her heart broke for all of them, but life moved on and so would they in some ways. Walking towards them she placed her hand on George's shoulder and gave it a squeeze. Where to begin though, so much needed to be done. As George walked into Hogwarts with a few of his siblings and they headed into the Great Hall, he stopped in the doorway. The room was all but destroyed, but some memories still insisted on breaking through. This was where he and Fred attempted to cross the age line to put their names in the goblet of fire, resulting in their long, full beards. He let out a chuckle as he stepped inside, turning as he felt a hand on his shoulder. "Oh, hello, Professor," he greeted McGonagall, managing a smile. She would always be a professor to him, even after being done with school and being an adult. But... he wasn't sure what to say after that. Huh. He was rarely at a loss for words. "Ah, Minerva.." Flitwick turned his eyes to his colleague and gave her a nod. "And thank you for coming, Weasleys." He understood how difficult it must be for that family, but also knew their sense of community and responsibility. He wasn't surprised to see them here. "I was thinking that we should start in here," he began, looking back at Minerva again. She was Headmistress now, of course, and he would defer to her, but he didn't think she'd mind his sense of organization at a time like this. "Perhaps once we get this room back in order, it will start to feel more like Hogwarts again." And then maybe it would be a little easier to do the rest. It was an odd feeling, being back at Hogwarts again. After months of being away from Hogwarts and then his first time back being that final battle against Voldemort, returning yet again now, but in a post-Voldemort world, was...surreal. Harry didn't really know how to describe it. It was a feeling that was present everywhere, but it was particularly strong here at Hogwarts. Maybe it was just from seeing all the damage that had been done to the castle, to a place that had been his first real home. A lot of damage had been done to everyone that night, but the damage to the castle was the most easily visible. He had been told they would meet in the Great Hall, so he followed the familiar path there, maneuvering around scattered debris, his green eyes scanning the broken columns and windows and walls. If he let his mind wander enough, he could easily picture so much of that battle and stir up that grief and guilt that always lingered in the back of his mind, that he wasn't sure would ever go away. But he didn't let his mind wander now. There was a task to be done, and he wanted to help. He stepped into the Great Hall, his eyes only briefly noticing the further destruction inside before his attention was caught by the people who were already there. Some of the Weasleys - where was Ginny? - Professors McGonagall and Flitwick. Harry was sure others would be arriving soon as well, but they were great team to start off with. Professor Flitwick was already making suggestions for how to start, so Harry took a spot in the back of the group. "Sounds like a good plan to me, Professor," he said. The moments surrounding the battle had been as surreal as anything could have been. Watching her mother kill Bellatrix Lestrange in her defense, all the many losses that they’d all gone through. Thinking Harry had been killed only to find out that the slender thread of hope that they’d all been wrong that she’d found herself clinging to as Neville had made his first stand was more true than anything she’d ever considered in her short lifetime. He hadn’t been dead, and they’d all been the victors in the end. He had been the victor. And yet Hogwarts had taken the brunt of the battle, and Ginny had found herself wandering the remains of the corridors she remembered from not so long ago as the ruins should have promised. She’d known the others were headed for the Great Hall. 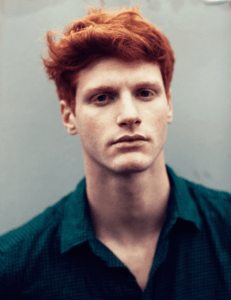 She’d seen the familiar ginger hair of George disappear through the remnants of the doors what seemed like moments ago, but the seventeen-year-old had wanted a few minutes to herself. They’d all lost so much. It was nearly unfair, in her opinion. That was why she’d found herself looking for any of the secret passageways from the twins’ and then Harry’s map, only turning back when she’d verified most of them had in fact been mostly collapsed. Odds were the one that had brought Harry back the first time was charred beyond belief, too, but she hadn’t trusted the staircases to hold her long enough to get to the seventh floor. Instead, she’d turned her steps toward the Great Hall, stepping around the last pile of stones in time to hear Professor Flitwick’s suggestion. “That sounds alright to me, Professor,” she said, echoing Harry even as she acknowledged that she’d stopped near him. This really didn’t feel like Hogwarts right now. Not the Hogwarts she remembered. Minerva knew her commitment and she knew her responsibility, one that she took pride in and was ready to step into, but it wasn't until eyes were on her that it truly set in. Albus was dead, Severus gone as well. So many gone, but will never be forgotten, no she would make sure of that. They would have a place for a statue to be a memorial or something for the fallen, but right now they had to think of rebuilding. She heard Filius voice first and nodded, yes that was a good plan. "This will be our main room to work on first, bring this back and the rest will follow. We have hard work in front of us, but we have proven that Hogwarts is a place that will always be here and will always stand no matter what comes at it or the people in it." She was proud of her extended family, all the faces looking at her. Though Harry stepping in made her feel a knot form in her throat and she turned emotions taking over for a moment. That had been happening more than she'd like to admit. "Alright everyone, lets get started." Seeing so many of his former students returning to help with the clean up and rebuilding was bittersweet. Filius was appreciative for their want to help and was glad to see them; he just wished the situation was more pleasant. Still, it was so wonderful when people could band together in times of need like this. And it seemed as if everyone was in agreement. They would start in the Great Hall. "I trust you all know charms and spells that would aid in the cleanup." They were all competent witches and wizards after all. "Use whichever of those you'd like or feel is most appropriate." There were many at their disposal. Once that announcement was made, Flitwick went to work, starting at the dais, and cleared away some of the larger stones and debris. George had grown lost in his thoughts momentarily and become uncharacteristically quiet. And before he knew it, more of them had arrived. His eyes fell on Harry before looking back to the professor as he spoke. Starting in the Great Hall made sense to him and he nodded. "Good idea to start where we can eat after we're done," he said with a grin before making his way to a corner of the room to get started. Perhaps a joke right now was not in the best taste, but he knew it was on him to lighten the mood. Cleaning up seemed like it needed to happen before any repair and George started to vanish some rocks and dirt covering the corner of the room. Spotting something shiny in the debris, he paused and crouched down to take a look. Yes, it was not time to get started and Miniver moved through the rubble looking around to see where to exactly start. She wasn't just looking where to start though her eyes were scanning the area to see if anything had been missed during their last time here. Was there anything under the rubble that needed picked up before the walls started going back up? Not seeing anything she went to raise her wand but stopped and turned to look at George, for a moment she just looked at him. It wasn't in questioning, irritation, or even any of her other looks she would give the twins over the years, but admiration. He had lost so much but still had his sense of humor. She shook her head and gave a smile. "If we get this cleaned up I will find us food to be able to be the first people to eat in the Great Hall again."